Guilty pleasures — les plaisirs coupables — are a part of life in Paris. Just wander down any avenue or boulevard and we guarantee you'll be stopping a dozen times to admire the delicious displays of classic pastries artfully arranged in glass cases. 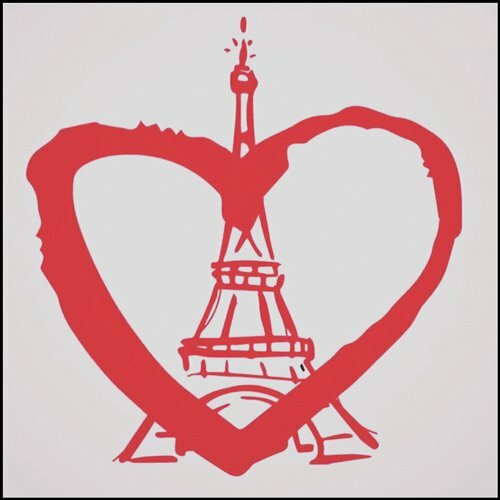 As we've urged before, when you're in Paris throw your diets into the poubelle (wastebasket) and adopt the French diet in the city that celebrates the art of dessert. Here are our personal top ten best Parisian pastries — patisseries — to seek out on your next trip to the City of Dessert. Saint Honoré, named for the patron saint of pastry chefs, is a classic French gâteau invented in the 1800s at a bakery on Rue Saint-Honoré. (Naturally!) The patisserie starts with a circle of puff pastry at its base; a ring of pâte à choux is then piped on the outer edge. 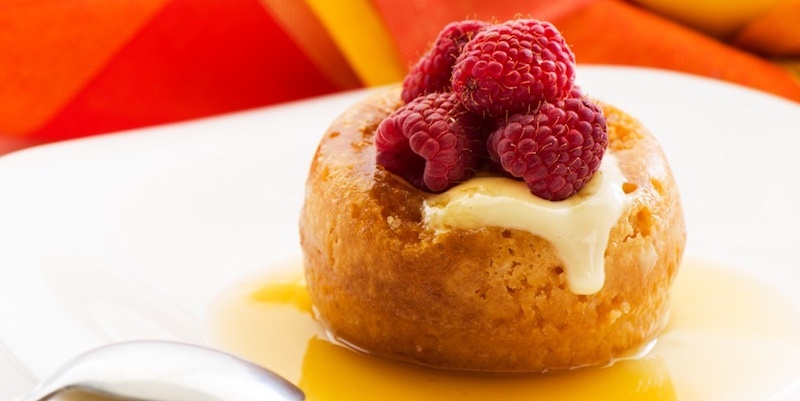 Small cream puffs, dipped in caramelized sugar are then placed on top. It's traditionally filled with whipped cream using a special St. Honoré piping tip. Resembling a snow-capped mountain, a Mont Blanc is filled with whipped cream and girded with "vermicelli" made from puréed, sweetened chestnuts. Although they say it hails from Italy, the Mont Blanc has been the signature pastry of Angelina's tea house since 1903. La Religieuse is traditionally made with two stacked, light-as-air puffs filled with pastry cream and topped with a either a chocolate or coffee glaze. Modern interpretations offer inspiring flavors like salted caramel, pistachio, and rose. For a spiritual experience, may we suggest you make your way to Ladurée to sample the Bonbon Religieuse made with a confit of sweet cherries, candy flavored cream and semi-candied cherries, all dressed up in an adorable pale pink almond paste dress. This popular dessert was created to honor the annual 1200 km bicycle race between Paris and Brest that was launched in 1891. (Now defunct.) The fluffy pastry's large ring shape is meant to represent a bicycle wheel but we're not sure what the praline mousseline cream, flaked almonds, and powdered sugar resemble. We do know that the Paris-Brest's crispy shell and creamy interior make it irresistible. For many pastry lovers a trip to Paris means the chance to adopt the macaron diet, and we're no exception. 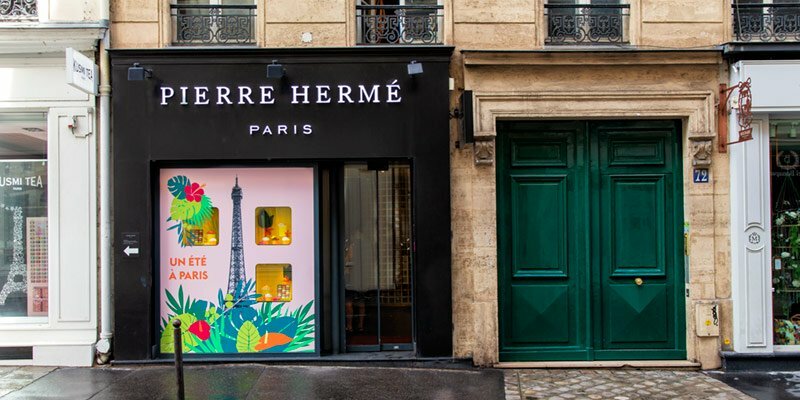 We blame it on Pierre Hermé, father of the macaron explosion, "I had no idea the macaron would become as Parisian as the Eiffel Tower," Hermé has said. His latest boutique is a trés moderne cafe on the Champs-Elysées featuring a tank-size macaron counter with dozens of varieties. There's also a long dessert bar, where you can watch chefs assemble the delicate, layered macarons in front of you. Be sure to try Hermé's signature Ispahan rose, litchi, and raspberry combo. The French word éclair means flash of lightning, and the torpedo-shaped pastry is so named because it is eaten just like that, in a flash. (Or so the legend says.) 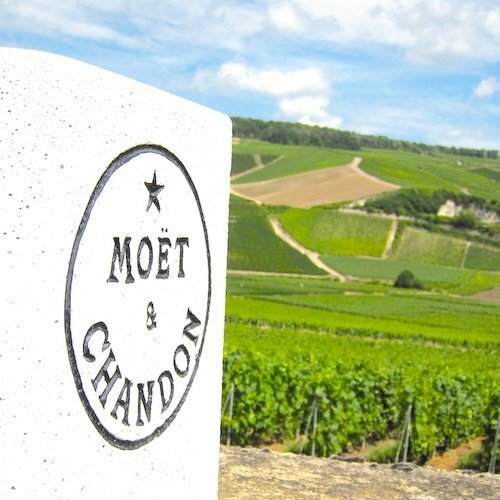 The delicate creation originated in the 19th-century and was then called a Pain à la Duchesse. French food historians declare éclairs were invented by the famous French chef, Antonin Carême (1784–1833). The pastry dough, called choux, is piped and baked until it is crisp and hollow. Once cool, the pastry is piped with silky, smooth pastry cream. Popular flavors are vanilla, coffee, and chocolate. The light-as-air concoction is then finished with a glaze. In Paris, Fauchon has long been known as the eclair specialists, but now their former baker, Christophe Adam, has broken away and taken the trade secrets with him to his popular patisserie, L'Élair de Genie. 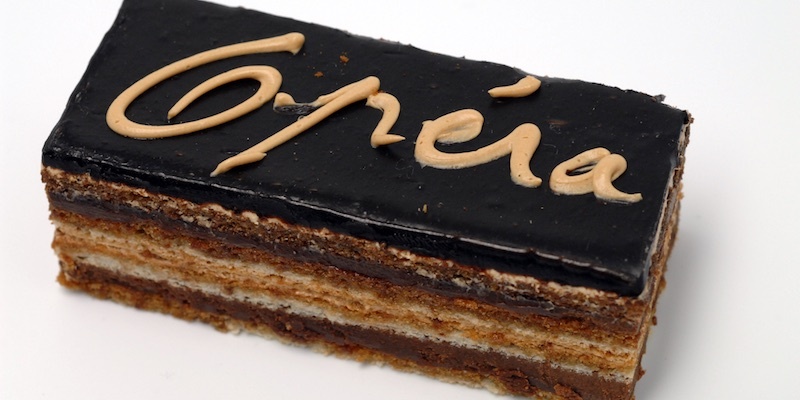 This elegant gâteau, simply called opéra, is composed of thin layers of barely-there cake soaked in a coffee syrup and layered with coffee buttercream and chocolate ganache. It's assembled as a square and then sliced and served into large slices. The Opera was popularized by Dalloyau and debuted at the 1903 Exposition Culinaire in Paris. Although best known as a popular dessert in French restaurants, we're seeing the rum-soaked, yeasted cake appear in patisseries recently. They say the oldest patisserie in Paris, Maison Stohrer on Rue Montorgueil, introduced Baba au Rhum from Poland. Stohrer offers four varieties — L'Ali Baba (the original), Baba Chantilly, Baba Rhum Nature, and Baba aux Fruits. You haven't really lived until you've had your first tarte au pomme in Paris. The French apple dessert has very little in common with the all-American apple pie. For starters, it's as thin as a Parisienne, with micro-thin layers of apples arranged in a concentric pattern over a juicy, thin layer of luscious apple compote. A thin jelly is painted on top to hold the quivering dessert together. This classic French pastry is found in virtually every patisserie in Paris. Just learning how to pronounce it is your first step to dessert enlightenment. Pronounced mill-foy, it translates as a thousand layers. And although most millefeuille pastries don't have that many layers, there are usually enough to cause an explosion of flaky, pastry. 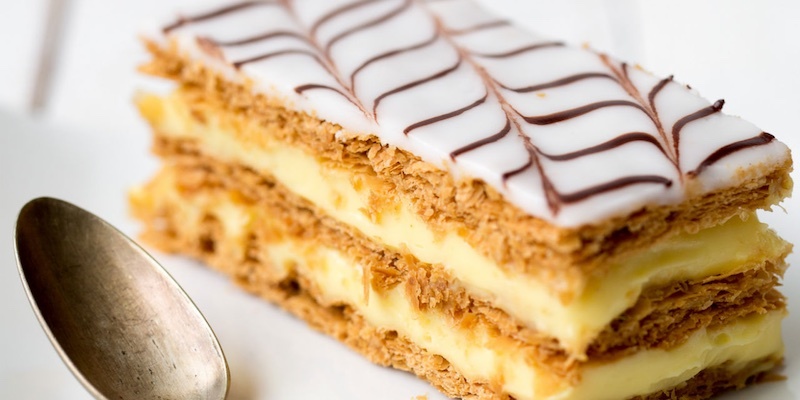 Traditionally, a millefeuille contains three layers of puff pastry alternated with two layers of pastry cream and a dusting of confectioners sugar or icing. But, as you'd imagine, French pastry chefs are eager to put their signatures touches on this old patisserie friend. 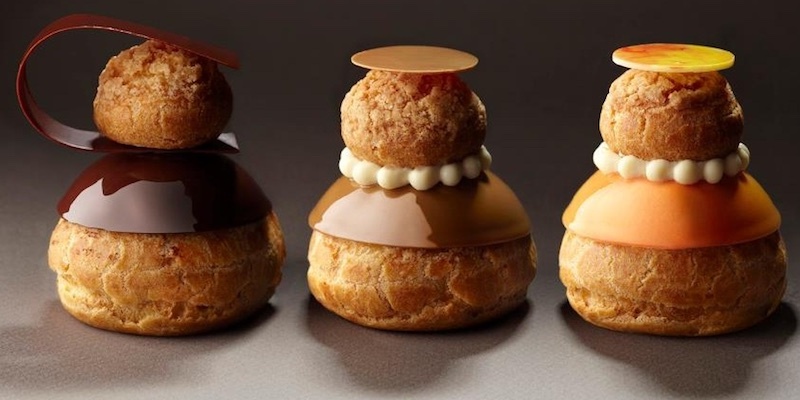 What you will discover in Paris is that these top 10 pastries are sold in both patisseries and boulangeries found in all neighborhoods of the city. (In a nutshell, patisseries focus on pastries, while boulangeries also sell bread). 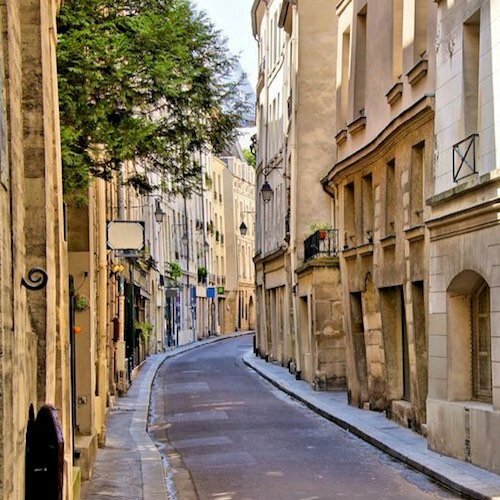 If you're on the Left Bank, head to Rue du Bac in the 7th Arrondissement, a magnet for patisseries. In 2009, Patisserie des Reves at 93 Rue du Bac was one of the first to showcase their elegant pastries under glass cloches. Up the street at number 108 is an outpost of Angelina, famous for their hot chocolate and old-school pastries. Des Gâteaux et du Pain at 89 Rue du Bac features pastries as well as artisan breads. 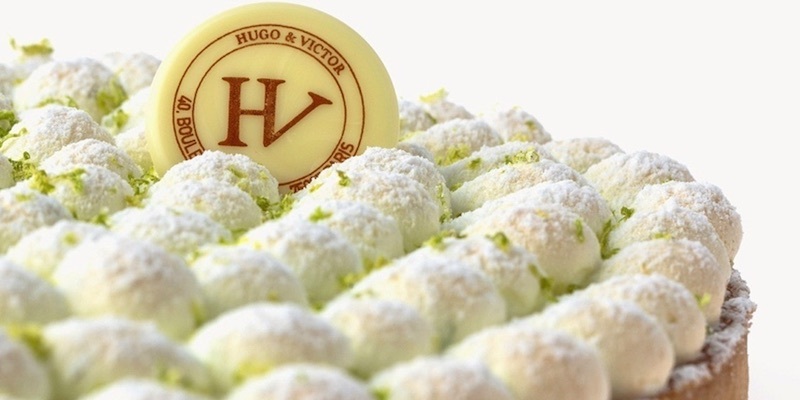 Around the corner on Boulevard Raspail is Hugo & Victor, a modern establishment with a focus on three core flavors — chocolate, vanilla and caramel. Another way to enjoy the haute couture of Parisian pastries is to seek out the historic palace hotels tea times. These crème de la crème of five-star establishments are where ambitious pastry experts redefine the art of French pastry. Teatime, typically served in the afternoons from 2:30 to 6:00 daily, gives you the chance to sample some of the most innovative pastry in Paris (at a fraction of what a meal would cost), all while soaking in the glory of these landmark locations. Hotel Le Bristol's Cafe Antonia, in the heart of the luxury fashion district on Rue du Faubourg Saint-Honore, offers a stellar luxury afternoon tea. Also consider the Jardin d'Hiver lounge at Hotel de Crillon, where the tea service pays tribute to Marie-Antoinette. Over at the Ritz tea time is an homage to Marcel Proust who loved to spend time as a guest of the hotel. In fact, the salon where they serve classic French patisseries is named after him. The artful arrangement of petits fours are served on white Limoges porcelain made specially for the Ritz.